What is a Dual Clutch Transmission (DCT)? At their core, dual clutch transmissions are a bit of a hybrid of a manual and automatic transmission. They’re more akin to a manual transmission, however, use two clutches (hence dual clutch) to synchronize the gear change. To better understand how a DCT transmission works, it’s best to understand how a manual transmission works. When using a manual transmission, the driver needs to frequently disengage the clutch to be able to change gears. The clutch works by disconnecting the engine’s drive from the driveline briefly so that the gears can be changed smoothly. A DCT works by using two clutches instead of one, and both are computer controlled, so there’s no need for a clutch pedal. The dual clutch transmission operates via several in-built computers. These computers eliminate the need for the driver to manually change gears and the entire process is automated. In this respect, a DCT can be looked upon as being similar to an automatic transmission. The main difference is that the DCT operates the odd and even gear numbers separately, which prevents the engine from being disengaged from interrupted power flow when the gears are changed. The core difference between a DCT transmission and an traditional automatic transmission is that the DCT transmission doesn’t use a torque converter. How Is a DCT Different to an Automatic Transmission? While a dual clutch transmission looks very similar to an automatic transmission cockpit, this is where the similarities end. In fact, a DCT has more in common with a manual transmission than it does with an automatic transmission. One of the main advantages of a dual-clutch transmission is its economical fuel saving benefits. As the flow of power from the engine is not disrupted, the rate of fuel efficiency increases. 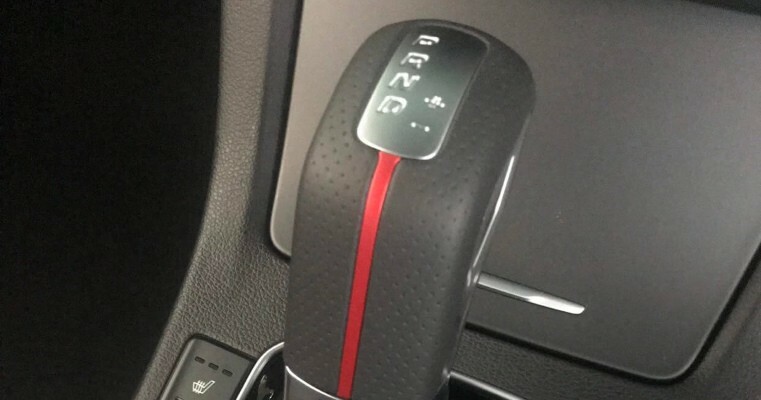 It is estimated that a 6-speed dual-clutch transmission is able to increase fuel efficiency by approximately 10% compared with a standard 5 speed automatic transmission. Generally speaking, this is because a torque converter in a typical automatic transmission is designed to slip, so not all of the engine’s power is being transferred to the driveline all of the time, particularly while accelerating. How Is a DCT Different to a Manual Transmission? When a driver changes gears using a manual transmission, it take approximately half a second to complete the action. While this may not sound like much, when compared to the 8 milliseconds some DCT vehicles offer the efficiency becomes apparent. The increased speed when changing gears makes a DCT considerably faster than their manual transmission counterparts. In reality, a dual clutch transmission works in the same way that a standard manual transmission does. It has both auxiliary and input shafts bat house the gears. It also has a clutch and synchronizers. The main difference is that a DCT does not have a clutch pedal. The need for the clutch pedal is eliminated due to the fact that Hydraulics, solenoids, and computers perform the shifting operation. The driver is still able to instruct the computer system when to perform certain actions through buttons, paddles or gear shifts. This ultimately improves the overall driver experience and is considered to be one of the most dynamic types of acceleration available. How Is a DCT Different to a Continuously Variable Transmission? Many of today’s cars feature CVT. Continuously variable transmission works by a belt that rotates between two pulleys. As the pulley diameter changes, it allows for many different ratios of the gears. This is where it gets the continuously variable name from. Much like DCT, a CVT eliminates shift shock due to the fact that there are no shifting of the gears required by the driver. As you increase or decrease your speed, the continuously variable transmission will adjust itself accordingly for maximum performance and efficiency. The main difference between DCT and CVT lie in the type of vehicle that it is installed in. Typically, continuously variable transmission tends to be used in lower performance cars that are manufactured in a higher volume. DCT is more commonly found in high-performance vehicles that are manufactured in a lower volume. Another similarity between DCT and CVT their calls is that they operate with maximum efficiency, especially when it comes to fuel-saving and acceleration. Is a Dual Clutch Transmission Right for Me? There are plenty of benefits from opting for a dual clutch transmission. Of course, your own preferences will be a major deciding factor but don’t rule out a DCT without knowing how it can improve your driving experience. As dual clutch transmission is still relatively new, many car manufacturers are using their own trademarked names. For Seat, Skoda and Volkswagen it is known as DSG, Hyundai call it EcoShift, Mercedes Benz call it SpeedShift. Ford has named it PowerShift, Porsche calls it PDK, and Audi has branded it as S-tronic. If you see these names associated with any car you are interested in, it means they have a Dual Clutch Transmission. It takes approximately one-tenth of a second for a dual-clutch transmission to change gears, meaning that the driver experiences improved acceleration. This improved acceleration makes it a popular choice for high-performance cars. While DCT gearboxes have been around for many decades, their use has been reserved mainly for high-performance vehicles involved in motorsport. The superior power and speed offered by dual clutch transmission are now rapidly becoming a popular choice in many new makes and models of car. Dual clutch transmission is perfect for performance driving. The computers make changing gears extremely fast and direct. These smooth gear changes eliminate many of the clunking or knocking sounds experienced with manual transmissions. Shift shock is a common occurrence with manual transmission vehicles and a DCT completely eradicates this. One of the main advantages that many drivers appreciate is the ability to be able to choose whether they want to let the computer perform the shifts on their behalf or whether they would like to control it themselves. When you compare a dual-clutch transmission with a standard automatic transmission, there is approximately 6% improved efficiency of both fuel and acceleration. Transitioning from automatic to manual is smooth and allows the driver to have more control over the driving experience. For those who appreciate improved power, efficiency, flexibility and fuel saving options, a DCT vehicle will easily provide all of these features.